It should be cheaper than that since the game is 2+ years old. Due out on December 21 in Japan. Bandai Namco has announced One Piece: Pirate Warriors 3 Deluxe Edition for Switch. It will launch in Japan on December 21 for 5,800 yen. 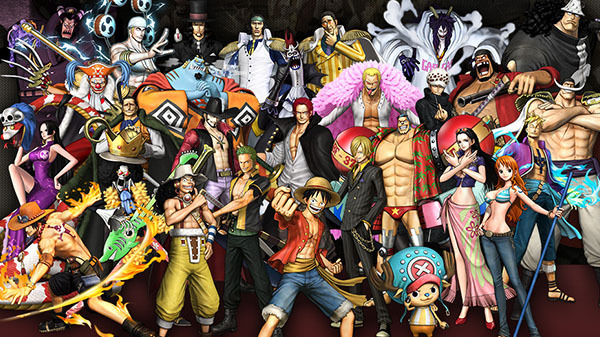 One Piece: Pirate Warriors 3 Deluxe Edition is a Switch port of the 2015-released PlayStation 4, PlayStation 3, and PS Vita title One Piece: Pirate Warriors 3. It includes the base game plus 42 pieces of downloadable content, including costumes and challenge episodes. The Switch version will be playable at 1080p in TV mode, and 720p in Tabletop and Handheld modes. It runs at 30 frames per second across all three modes. In TV and Tabletop modes, users can play two-player co-op if they have two sets of Joy-Cons, but not with a single set of Joy-Cons. Unlike its PlayStation counterparts, the Switch version will not support online co-op. Sweet, I didn't buy that one, but if we get it retail over here, I will.